This is the view from the Puntan dos Amantes or Two Lovers Point in Guam. Although this was our third visit to the famous spot, the view never ever gets old. 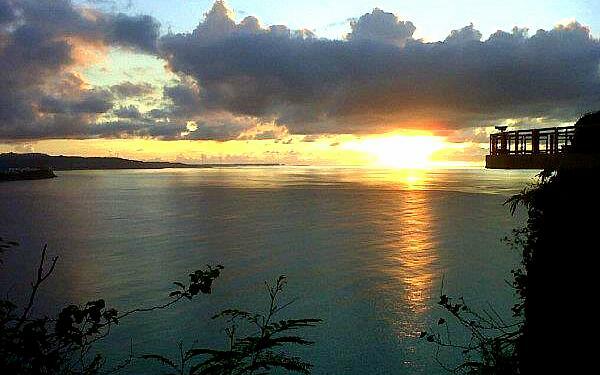 We always time our visit to this spot so that we can catch the sun set over a tranquil Philippine sea. The children and I took a short break last over the week-end and soaked in the sand, sea, surf and some shopping. 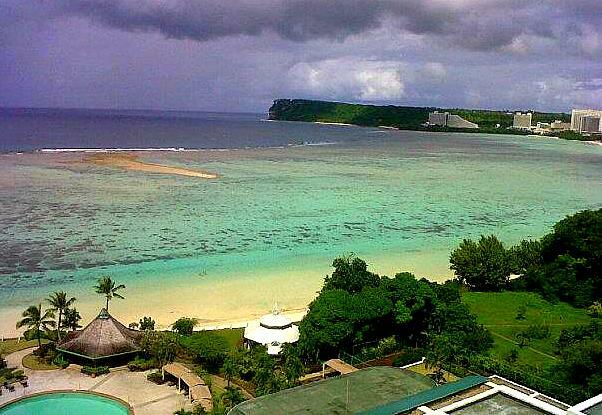 Guam is a favorite get-away for us because it’s so laid-back that the moment you get off the plane your stress level immediately drops. It was wonderful to have had four full days to bond with the children minus any email or sms messages to respond to, no television (we opted not to watch any) and no other distractions. Okay, we were wired for only about an hour each day. We swam, ate a lot, read a great deal, talked and laughed a lot. What a great joy to disconnect from time to time in order to truly connect. Investing in memories is truly priceless and the returns are immeasurable.